Pop up a delicious snack! 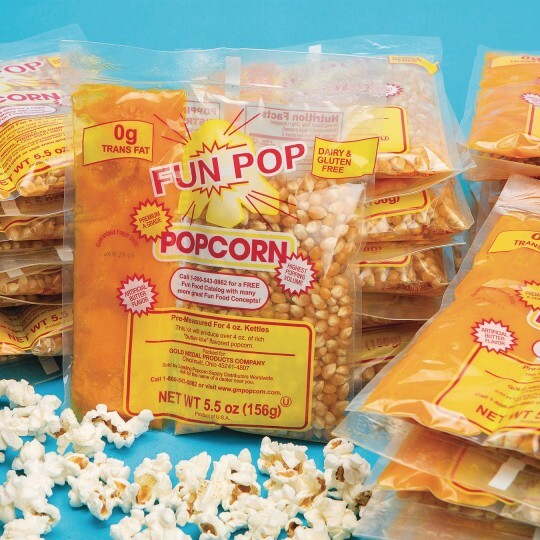 Everything you need to pop perfect popcorn in your 4-oz. Kettle popcorn maker! It's a triple play for convenient popping with all your corn, oil and salt ready to go in one neat little package, taking the guesswork out of preparation. Enough to make thirty-six 4-oz. kettles of popcorn.